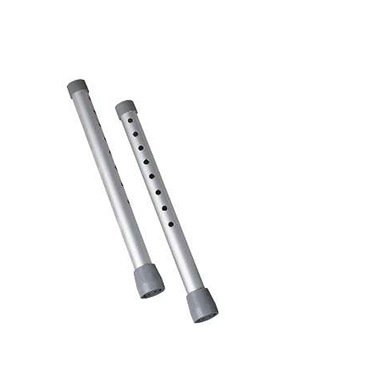 Easy care, 2 button walker footpiece extension set for increasing the height of normal walkers. This set comes in a set of 4. For use on a Guardian or Medline walker only.